Sung by kids, for kids, these classic worship songs are remade to appeal to young children, and grow a love of worship from a young age. Want worship kids can relate to? Good Good Father is a kids worship project. These gifted singers deliver a worship experience for all ages and it will inspire and motivate your kids to sing in worship. The songs are the TOP worship songs being sung all across America as reported by CCLI. Your family will know and be able to SING EVERY SONG! The KIDS of City Christian School, Portland OR, have an award-winning worship team and choir. They really deliver on this amazing project. 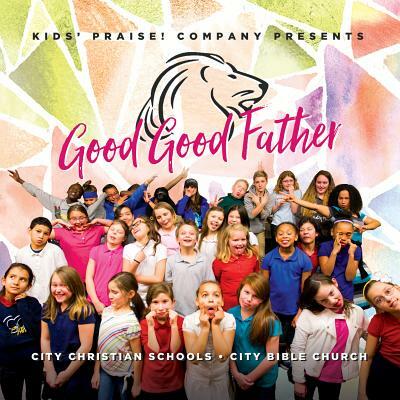 Good Good Father by Kid's Praise! Company was published by Capitol in June 2017 and is our 9024th best seller. The ISBN for Good Good Father is 0762093508725. Be the first to review Good Good Father! Got a question? No problem! Just click here to ask us about Good Good Father. Now Playing: You Are Good Your browser does not support the audio element.